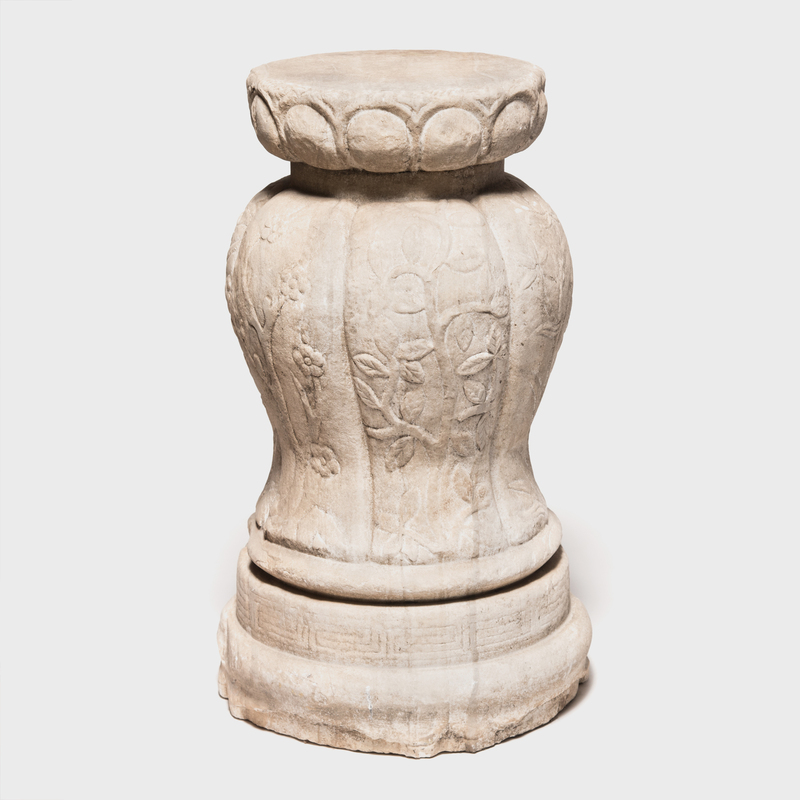 This finely carved marble pedestal is ideal for display inside or out. The raised pleats stand in for a melon’s ribs and flow down from the pedestal top to the stepped disc base. 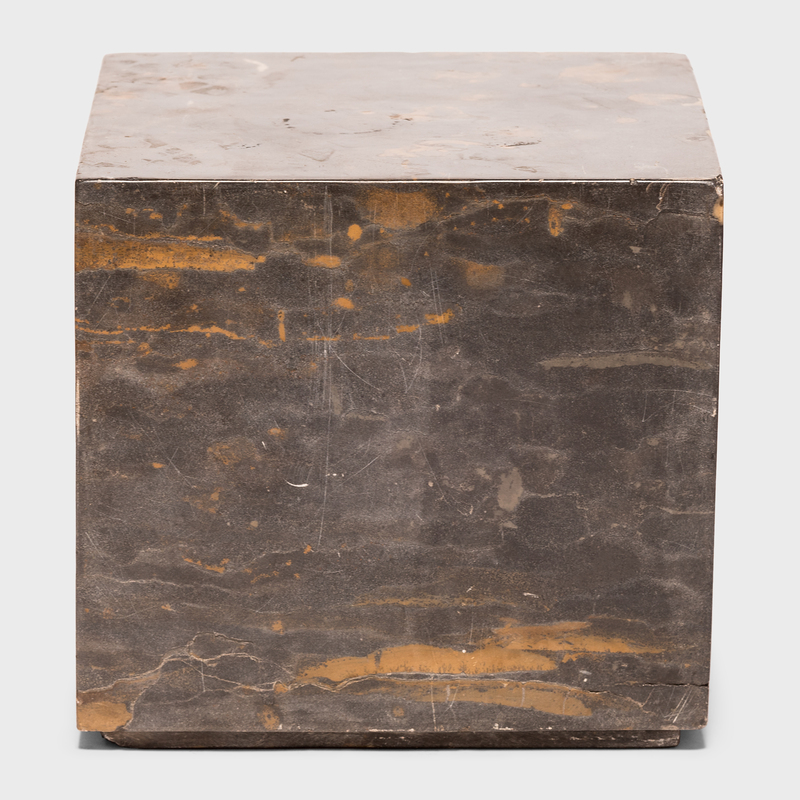 The dynamic relationship from rounded top, to swelling center, to rounded base brings movement to solid stone. 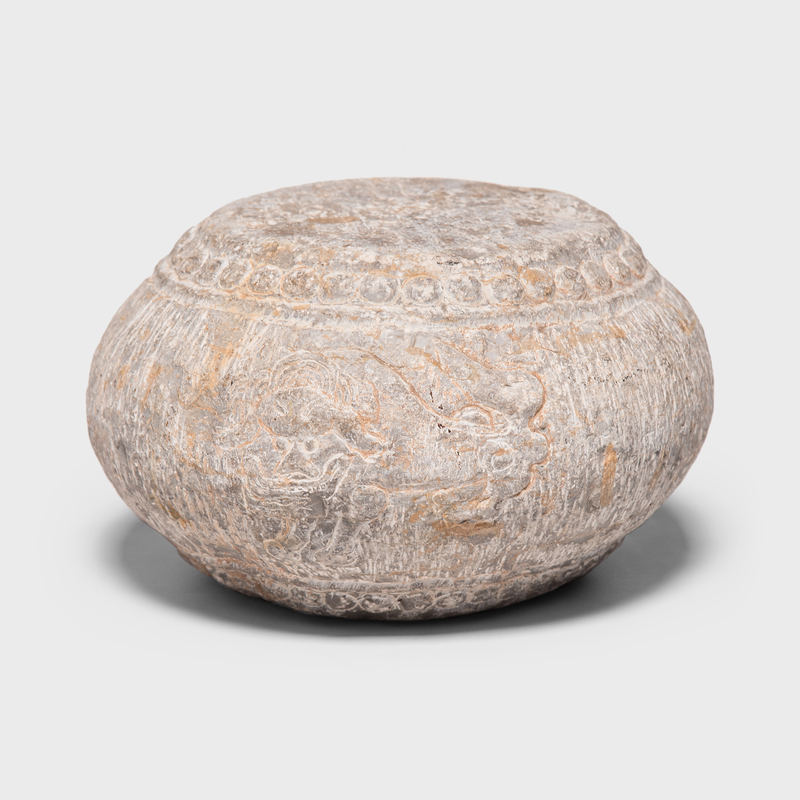 A traditional symbol of fertility, the melon form of this sculptural pedestal offers meaning and architectural beauty to any environment.